As we have mentioned in one of our previous articles, a blockchain represents a distributed database, a new way of storing data, enabled by recent technological development. We’ve also mentioned that Satoshi Nakamoto was behind this innovative idea and the purpose of the blockchain was to facilitate the processing of a financial transaction. Since all the digital currencies are not linked to the traditional central bank, a new idea had to make possible the transaction processing. Blockchain was the best to fit this purpose as it can enable storage of data, in a distributed and secure way. No matter if we talk about bitcoin or any other cryptocurrency, the blockchain technology enables the processing of all the financial operations that are done in a certain system, by using the hardware and storage capacity of all the computers that are part of the system. Blockchain had enabled an independent monetary system to emerge, a system that is not controlled by any public agency and also, a system that facilitates the exchange of goods and services with lower fees and fast transaction processing. 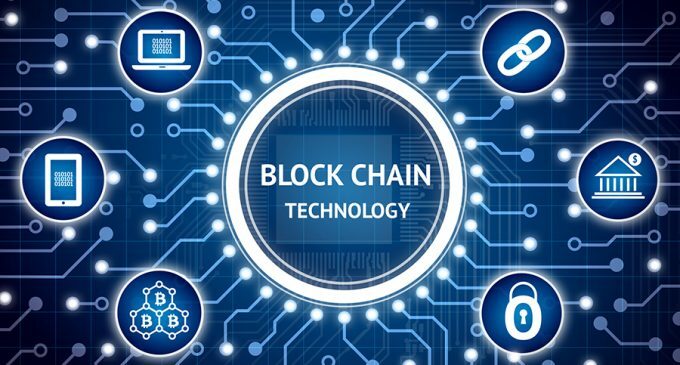 The blockchain technology, made possible due to recent developments of the internet and hardware capacity, stands at the core of digital currency industry. The concept of having all financial transactions in a distributed database prevents any loss of information, even though some hardware machines from the system will not be functional. To sum up, blockchain is one of the most important pillars of the cryptocurrency industry and without it, the digital currency era would not exist. It is not yet done and as new cryptocurrency are emerging, as competitors for the existing ones, blockchain technology finds new forms and uses, which is a good thing for the large mass of consumers.